It’s no longer a secret that social media is an extremely effective marketing tool. When social media was a relatively new phenomenon, a lot of people said that it was only a fad that would soon pass. And not a lot of people could ever have imagined that the world’s largest corporates would leverage it in their marketing strategy. What’s more, not a lot of people could have ever thought that social media could help drive sales for millions of dollars. Statistics are really helpful for identifying how effective or ineffective a marketing tactic is. By looking at statistics about social media, you can get a better understanding of the true power of social media. Most marketers stare themselves blind of statistics, and that’s great. But an aspect of statistics that is often forgotten and that can actually prove to be quite helpful is looking at social media statistics and then shaping the marketing strategy based on that. In this article, we’re looking at some key social media statistics and how you can leverage these to develop an effective social media marketing strategy. Over half of the people on social media interact with brands more than once a month. This social media statistic is extremely interesting since it goes to show that there’s a great interest by the public to engage and interact with businesses on social media. With this in mind, it means that customers expect brands to be on social media so that they can interact with them. One of the best marketing tactics is building relationships with your customers. Now, this is a time-consuming marketing tactic, but nothing is as powerful as building genuine and authentic relationships. Think about it: would you trust recommendations from someone you trust and have a good relationship with? Well, building relationships with your customers is not very different. If your business isn’t using social media, you’re missing out on tremendous opportunities to improve your customer relationships and ultimately sell more. Normally, you have to reach out to your customers, so when your customers reach out to you, you want to take advantage of this opportunity. However, it’s important that you remember that it is simply not enough to just create a profile so your customers have somewhere to reach out to. Instead, you need to make sure that you carefully respond to each and every message that your customers leave on your profile – and leave thoughtful answers to them. The way you build relationships with someone is through constant interaction, and therefore, you need to value each message and comment that you get from your customers. With the previous statistic in mind, this is a really interesting statistic that continues to build on it. The fact is that 92% of people trust peer recommendations, and that is why it is important to leverage social media to build customer relationships. Furthermore, if you can give your customers a great experience on social media, they are likely to recommend you to their peers. First off, this means that it is absolutely crucial that you don’t neglect any customer inquiry. If a customer contacts you on social media, make sure you respond to their message, no matter what. Because not only is peer recommendations truly effective, but if your customers recommend you, it means that they promote your brand for free. Not only do you want to make sure that they have a positive memory of your brand, but you also want to make sure that they spread the word about your brand. Over 88% of all companies are now marketing on social media. This statistic stays it all. Businesses aren’t using social media because they think it is fun, or because they ”feel like it”. Instead, they use social media because they see value in it, and they see results from it. And if other businesses are using it and seeing great results from it, then chances are that there are businesses similar to yours that have seen great results from it. If you’re not using social media, you’re most likely leaving money on the table. Make sure that you set up your social media profile and implement a social media strategy as soon as possible. This continues to build on the point above, but it also tells us that if your target audience consists of people aged 18 to 34, social media will prove to be even more effective. It’s maybe no secret that the main user base of social media consists of people who are of a younger age. And while most businesses, regardless of age on the target audience, can see great success from social media, businesses that target younger people will generally see a better result from social media. This is simply because of the fact that there are more younger users on social media. And what you want to consider with this statistic is that you want to adapt your content strategy to the younger age audience. Make sure that you create content that is relevant and appeals to this age group. 63% of customers actually expect companies to offer customer service via their social media channels. 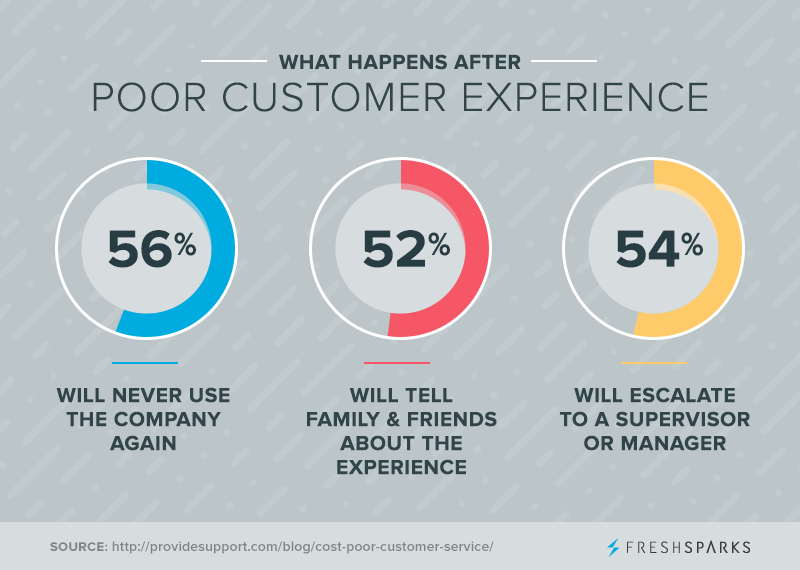 Because the fact is that 63% of customers will actually turn to social media for customer service inquiries. The customer service landscape is changing, and as a business, you need to be able to meet your customers no matter what. Therefore, you need to adapt to the new way your customers are reaching out to your business and be ready to respond to all your customer service inquiries. It means that as a company, you need to go beyond your own channels and monitor all the discussions and conversations that your customers are having about your brand, but without mentioning you directly. Because the fact is that these conversations can give you tremendously valuable insights, and can work as market research method. Your customers are already talking about your brand on social media, so no need to do customer services and such. Instead, you can simply take advantage of the conversations that customers already have about your brand. The bottom line? Make social listening a central part in your social media marketing strategy, because not only can this give you valuable insights in your brand, but it can also give you valuable insights into how you should develop and improve your social media marketing strategy. The bottom line is that with the help of social media marketing statistics, you can not only get valuable insights into what social media can do for your brand. These statistics can also give you concrete tips on how you can better succeed on social media. A lot of people jump into social media without any strategy or plan for how they’re actually going to succeed on the platform. For all of these businesses, the social media statistics can come in really handy.